A lot of traders fear short selling of options, however for some reason they do not fear short selling stocks and futures. This is a very strange traders mindset. In this post learn why you should not fear short selling options if you know how to limit losses by hedging. Short selling of any stock or index is done by experienced traders when they feel a particular stock or index may go down. Short selling is mainly done on derivatives – options and futures. Short selling on stock can be done only on intraday day trading. Short selling a stock which is not there in your trading account and not closing it the same day may incur heavy losses as it goes into auction the very next day and a penalty is levied on the trader. Therefore it is highly recommended to save yourself from a penalty do not short sell a stock which is not there in your trading account or which you never bought. However in day trading it can be done. How to Short Stock in Day Trading on Intraday Basis? In your trading account select the option of MIS (Margin Intraday Square-off). This feature is given by every broker in India. It is made for intraday day trading. You have to buy back the shares sold before market closes, else in any case the risk management system will start to square-off all trades that are MIS and have not been closed by the trader. This starts 10 or 15 minutes before the markets closes for trading for all open trades in MIS. 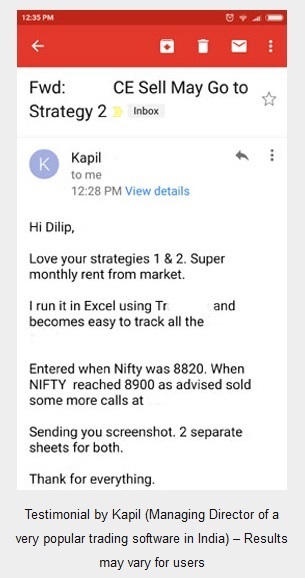 This is automatically done by most brokers in India. How Much Margin is Blocked in Shorting a Stock in Intra-day Trading? Why Only 10% is Blocked in Shorting a Stock in Intraday Day Trading? The reason is pretty simple. What are the chances of a stock going up or down more than 10% in few hours? Very low. Assuming in 3 hours stock goes up 5%. There will be a loss because the stock was sold not bought. Therefore total loss is Rs. 7500 + Brokerage + Taxes. 15,000 was blocked, so out of that Rs. 7500 + taxes are taken out as a loss and the rest released for next day trading. Please note that same method of margin block is done when a trader buys a stock for trading Intraday day trading. There are two types of options – Call Option and Put Option. Traders sell or short Call Option if they feel that the stock or index will go down (not go up as they have sold the Call Option not bought it). Traders sell or short Put Option if they feel that the stock or index will go up (not go down as they have sold the Put Option not bought it). Risk of short selling Call Option is unlimited as the stock can go to any level after the option is sold. Profit of short selling Call Option is limited to the amount credited when the option was sold. For example if the option was sold at 100 and the lot size is 75, the trader who shorted this option will be given (100*75) = Rs. 7,500.00, but this money will be blocked until the trader closes the trade. Profit or loss will depend on the close or the buy value of the option. (100-50) * 75 = Rs. 3750.00. This money is given permanently to the trader who shorted the option. If the option was sold at 100 and the lot size is 75, the trader who shorted this option will be given (100*75) = Rs. 7,500.00, but this money will be blocked until the trader closes the trade. Profit or loss will depend on the close or the buy value of the option. (100-150) * 75 = Rs. -3750.00. 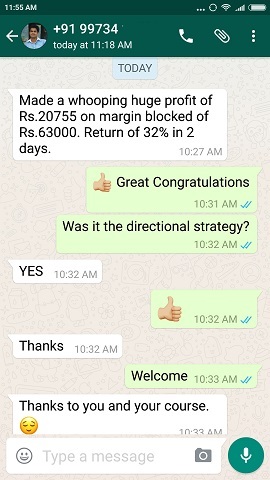 This money is taken away as a loss permanently from the margin blocked from the trader’s account who shorted the option. (100-250) * 75 = Rs. -11,250.00. 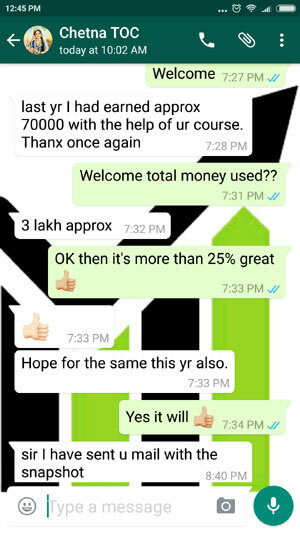 This money is taken away as a loss permanently from the margin blocked from the trader’s account who shorted the option. (100-550) * 75 = Rs. -33,750.00. This money is taken away as a loss permanently from the margin blocked from the trader’s account who shorted the option. As you can see a stock can go high to unlimited level so on paper shorting a call option has unlimited loss. However the trader who has shorted the call option can buy it back at any time before expiry to limit the loss. Therefore unlimited loss is only on paper not in reality. 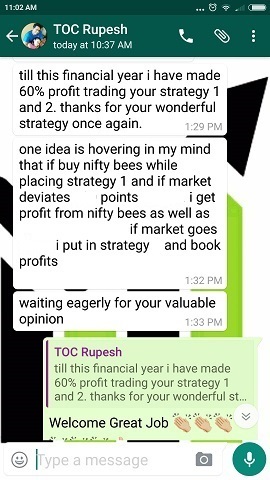 There are ways to hedge the option sold which is well explained in my course. A hedged short option has even more limited losses on paper as well. Risk of short selling Put Option is very high not unlimited as written in many books and websites as the stock can go down to maximum 0. It cannot go to -1 or -2. Therefore risk of short selling Put Option is very high but not unlimited unlike short selling of a call option. Profit of short selling Put Option is limited to the amount credited when the option was sold. For example if the option was sold at 80 and the lot size is 75, the trader who shorted this option will be given 80*75 = Rs. 6,000.00, but this money will be blocked until the trader closes the trade. Profit or loss will depend on the close or the buy value of the option. (80-10) * 75 = Rs. 5250.00. This money is given permanently to the trader who shorted the option. (80-90) * 75 = Rs. -750.00. This money is taken away as a loss permanently from the margin blocked from the trader’s account who shorted the option. (80-180) * 75 = Rs. -7500.00. This money is taken away as a loss permanently from the margin blocked from the trader’s account who shorted the option. Let say a stock ABC Ltd was trading at 200 when the option priced 80 was sold. Assuming the impossible that suddenly the stock fell to ZERO (0). This is maximum loss a seller of the put option has if the option sold was not hedged. Assuming the option sold was ATM (At The Money) option. 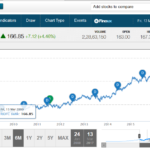 On expiry day if the stock which was trading at 200 closed at 0, and option sold was 80 will become 200. This is because of the intrinsic value of the option on expiry day is the difference of the price of the stock on the expiry day and the price of the stock when option was sold. This option will become ITM (In The Money) and will be priced at 200. It is clear now why a seller of a put option is a huge risk, not unlimited risk while selling a put option. It is highly recommended that a seller of options or futures must learn good hedging methods to avoid big losses and limit their loss to a large extend. If the losses are limited you can become a seller whenever you want and a buyer whenever you want. So do not fear selling options and futures if you know how to hedge them. Do not sell naked not hedged options and futures. My course will teach you the right methods to hedge your sold options or futures. Since the risk is more in selling or options and buying and selling futures the margin blocked is more in shorting derivatives. For positional trades you need to chose the option NRML (Normal). If this is chosen you can carry forward the option or future sold as long as expiry. You can close before expiry too. Since the position can be carried forward margin blocked is more and is decided by the exchange and differs from broker to broker and stock to stock. For Intra-day trading of options and futures you need to chose MIS (Margin Intraday Square-off) option. Since this is squared off the same day risk is less so the margin blocked is also less. If the trader does not closes the position before end of trading day the system closes it automatically before trading closes. MIS margin for Equity & Index futures is 40% of NRML margin. MIS margin for Commodity futures is 50% of NRML margin. MIS margin for Currency futures is 50% of NRML margin. For any questions on selling options or futures ask in the comments section below.